[German]Today a short information about a bug in Windows 10 V1803, preventing disk management to recognize internal SATA drives in a proper way. The interna SATA drives are detected in disk management as removal drives. 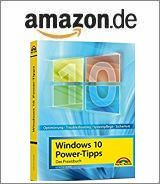 [German]A short note to administrators running Windows Server version 1607 als DHCP failover server. Cumulative update KB4338814 causes a bold DHCP bug during installation, so that Windows 10 Enterprise clients no longer have a network connection. A rather odd bug in Android gives Google the possibility to access text messages from Android devices. A user has found that out by accident. [German]Her’s another short article on to topic ‘Google’s Chrome browser suddenly shows black boxes on web pages while surfing’. The subject comes up every now and then. Currently it may hit Windows users with the Chrome 66. [German]Do you own a Seagate NAS device? Seagate has fixed quietly a security vulnerability in the firmware of their Seagate Personal Cloud Home Media Storage. [German]It seems that the newly released Windows 10 Fall Creators Update (V1709) threatens us with bugs a hell. Even Explorer contains a bug that prevents renaming files or folders.